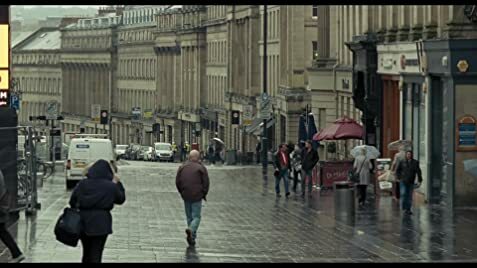 A 59 year old carpenter recovering from a heart attack befriends a single mother and her two kids as they navigate their way through the impersonal, Kafkaesque benefits system. With equal amounts of humor, warmth and despair, the journey is heartfelt and emotional until the end. Ann: Please listen to me, Dan. It's a huge decision to come off JSA without any other income coming in. Look, it... It could be weeks before your appeal comes through. You see, there's no time limit for a mandatory reconsideration. I've got a time limit. And you might not win. Please, just keep signing on. Get somebody to help you with the online job searches. Otherwise, you could lose everything. Please don't do this. I've seen it before. Good people, honest people, on the street. Licensed courtesy of Mozart Edition (Great Britain) Ltd.
Ken Loach is a name I always recognise but then struggle to remember any of his work. I think, "ah good, it's by Ken Loach" and then "what's he done again? Oh Kes!" But Kes was 47 years ago and shamefully, I'm not familiar with any of his films since then. One conclusion from this realisation is that Loach has a strong reputation as a filmmaker and this was my long awaited reunion. We follow Daniel Blake, a middle-aged carpenter who's taken a few recent knocks, one of which is suffering a heart-attack and deemed not able to return to work. It's a position no one would want to be in, forced to sacrifice your own health or lose everything you have worked so hard for. We witness the hurdles that seem purposely put there to hinder payments, speaking from personal experience I can relate to this situation to a degree. How are people such as Daniel Blake suppose to survive, or better still, have a good life they are suppose to be able to live. It's a harsh reality on how parts of the British system fails it's people and proof that there's no real incentive to do things by the book. Having been in a similar situation myself, skirting the unemployment line getting advise from people who have no ambitious or understanding of what I wanted to do. Taking this on a more personal level, I quit a stressful position last year in the hopes of pursuing my own dream of being an artist and writer. Having to sign agreement that I would spend a number of hours trying to find work and having to provide evidence of doing so each fortnight would grant me the universal credit that I never actually received. I actually had a good case worker, as everyplace of work has good people, but equally there are those that can't see beyond, much like what is portrayed in this story. Though, instead of supporting me in trying to be something I both enjoy and apparently good at, they attempted to find me similar stressful jobs that I left for my own sanity, wanting to place me back amongst the wolves. 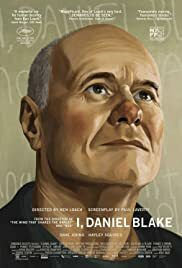 Dave Johns is exceptional as Daniel Blake, emitting the boiling frustrations of the soul- destroying turn of events, right to the very end. Hayley Squires' Katie is short of brilliant too, displaying the tremendous pressure when faced with these kind of tribulations. Though, the acting from the rest of the supporting cast is less desirable, it's forgivable. It's a raw, honest and emotional look at the suffering and poor way of life some unfortunate people have to contend with in Great Britain. It's compelling, invoking and upsetting, showing the great lengths and risks people go through in order to maintain their self dignity. It's certainly a film that boasts Loach's credibility. 38 of 59 people found this review helpful. Was this review helpful to you?